2014 HOTT Team members (seated l-r) Barry Valure, Michael Doyle and Joycelyn LeBlanc (standing l-r) Debbie Klotzbach, Chris Floyd, Wendy Parrish, Gary Mollere, Sandra Harshbarger, Rusty Jabour, Karen Hoyer and Lisa Sanner (tournament director). 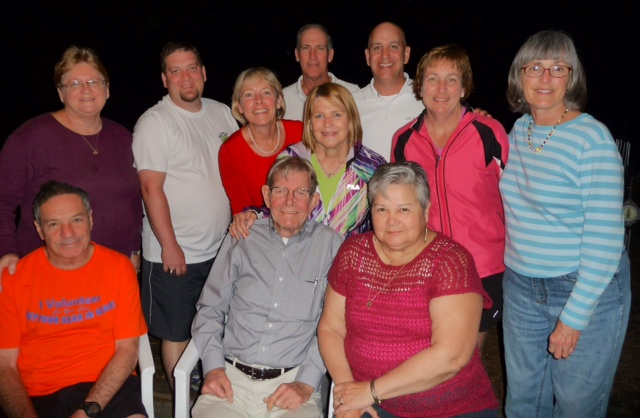 Not pictured are Fred Aldrich, Mike Fournet and Christine LeBlanc. 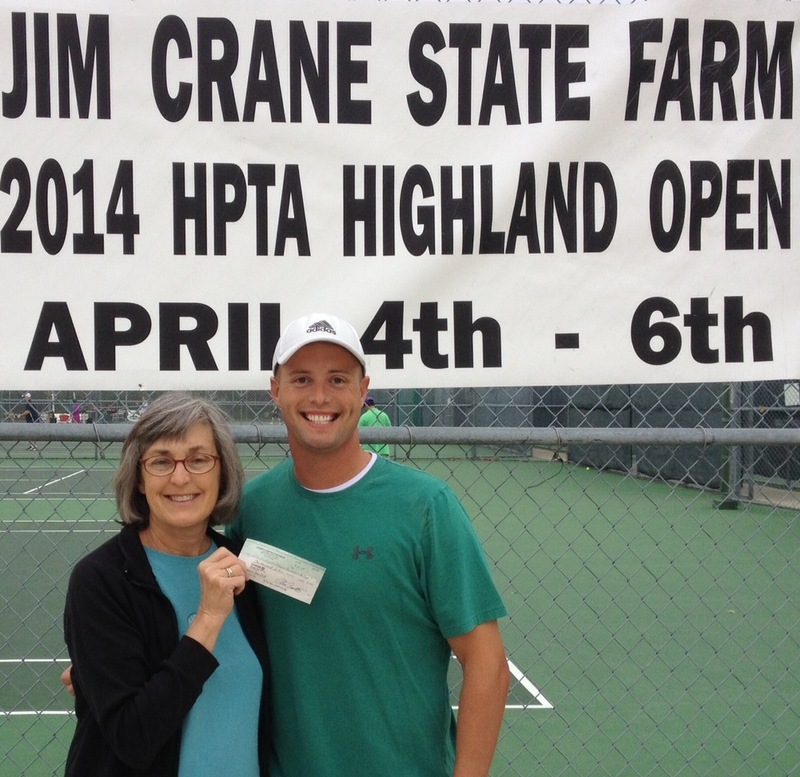 The Highland Park Tennis Association and its Highland Open Tournament Team are proud to announce that the 2014 Highland Open raised $21,725 for the Cystic Fibrosis Foundation. The 2014 total was the second-highest in the Highland Open’s 32-year history, surpassed only by the 2011 total of $23,000. The funds were raised from a variety of sources, including corporate and business donations, tournament entry fees, a raffle and silent auction, and the “65 Roses” campaign. Thanks to all of the individuals, businesses and organizations that helped us achieve our goal in 2014. We are VERY happy to report that we exceeded our goal of 65 Roses again this year! Below, please see the list of individuals, businesses and organizations that helped us. We like to say that Chris Brantley “was raised at HPTA,” as his Mom would drop him off every Saturday when he was a teenager, and Chris would play in the HPTA Round Robin. We watched Chris develop both his tennis and life skills at HPTA, and now in his mid-20s, Chris owns his own company, Premier Construction Group. 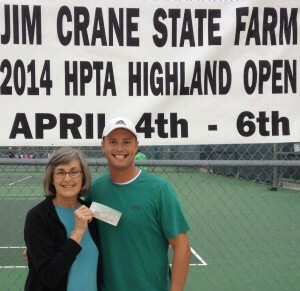 Through it all, Chris has remembered his “HPTA home,” playing regularly in our round robin and participating every year in the Highland Open. Now, as a successful young businessman, Chris is known for giving back to his community. We are so thankful that he has joined our elite Platinum Level sponsors by donating $1,000 to the Highland Open to benefit CFF. Thank you, Chris, for your generous donation. But, most of all, thank you (and your Mom) for believing in HPTA as a fun, safe place for you to develop and grow into such a wonderful, thoughtful and giving young man. We are so very proud of you.